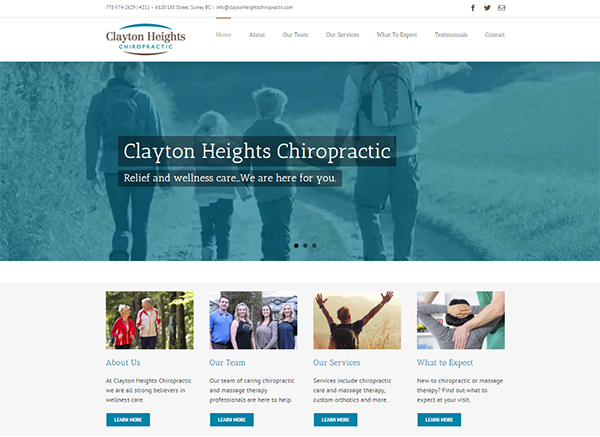 Clayton Heights Chiropractic has been serving clients in Cloverdale and surrounding area since 2009. They are proud to provide relief and wellness care to a wide range of clients. A Creative Team has worked with this client since their creation in 2009, providing logo, corporate identity, brand design and the first iteration of their corporate website. 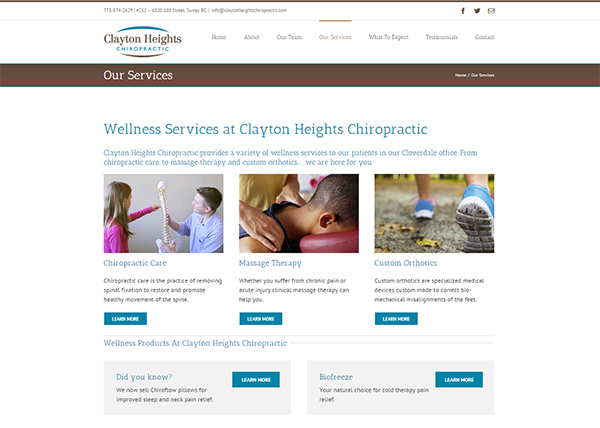 We redesigned their website in 2014, and currently manage their Google Adwords campaigns.